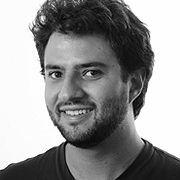 As a Head of Strategy that coordinates different accounts, Leandro is also fully responsible for the strategy of Instituto Inhotim at Agência Filadélfia – an independent advertising agency in Brazil. Instituto Inhotim was founded 8 years ago as an organization aimed at shaping the future and transforming people lives through art, nature and social engagement. To this date, Inhotim is the world’s biggest open air museum, mixing art and nature in a unique way that has been portrayed in media outputs such as the New York Times, The Guardian, the Financial Times, Folha de São Paulo and the L.A Times. As a professional, Leandro is currently focused on understanding new ways to achieve financial and operational sustainability on creative business environments. Before becoming a Strategic Planning Manager at Filadelfia, Leandro worked as an Account Planner for a range of clients including, Iveco, Fiat Group and RAM Trucks. He graduated with a Bachelor's in Communication Studies from the University of Bologna, being awarded a full scholarship. He also received a full OVERSEAS scholarship to study at the University of Technology Sydney and is certified as an Account Planner by ESPM/Miami Ad School São Paulo.